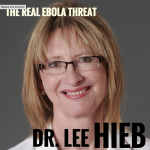 With Ebola’s implications, causes and threats weighing heavily on many people’s minds, Jason Hartman invites Libertarian Candidate Dr Lee Hieb to give her professional opinion on the situation. Together, they discuss some of the potential solutions to alleviating the situation, as well as considering what could have been done better at the point of outbreak. Hieb also talks about changing attitudes to her party and why these are so important. 02.30 – Jason Hartman asks the question everyone is thinking: Ebola – real threat or just a lot of hype? 03.19 – If we’re going to stop the spread of Ebola, we have to stop the movement of people. 06.42 – We have found some treatment options for Ebola, but if we reach a level where we have thousands of victims, it’s just not feasible. 08.19 – Increasing your vitamin D levels can go a long way to increasing your overall health, with studies even linking it to lower cancer risks. 15.28 – Don’t be fooled into thinking Ebola spreads like HIV – it is far more easily spread and there’s a lot we still don’t know about it. 22.00 – Now there are some fears about if we use the military and impose martial law as an excuse to ‘fix’ other issues. 26.02 – Hospitals in the US simply don’t have the training or the equipment to be able to deal with this disease. 27.52 – Members of the Association of American Physicians and Surgeons believe that medicine is between a doctor and a patient, not a doctor, patient and a government bureaucrat. 30.25 – The Libertarian party and its values is starting to be better understood by the American people. If we use common sense and employ specific measures, Ebola could really burn out in just a few months. Tweet this! Some immune systems are more or less susceptible: George Washington was a tough dude and survived smallpox. Tweet this! The authorities are so worried about being politically correct that scientific accuracy goes out the window. Tweet this! Welcome to the Holistic Survival Show with Jason Hartman. The economic storm brewing around the world is set to spill into all aspects of our lives. Are you prepared? Where are you going to turn for the critical life skills necessary to survive and prosper? The Holistic Survival Show is your family’s insurance for a better life. Jason will teach you to think independently, to understand threats and how to create the ultimate action plan. Sudden change or worst case scenario – you’ll be ready. Welcome to Holistic Survival; your key resource for protecting the people, places and profits you care about, in uncertain times. Ladies and gentlemen, your host: Jason Hartman. Welcome to the Holistic Survival Show, this is your host, Jason Hartman, where we talk about protecting the people, places and profits you care about in these uncertain times. We have a great interview for you today and we will be back with that in less than 60 seconds on the Holistic Survival Show. By the way, be sure to visit our website at www.HolisticSurvival.com, you can subscribe to our blog, which is totally free and has loads of great information, and there’s just a lot of good content on the site so make sure you take advantage of that at www.HolisticSurvival.com. We’ll be right back! What’s great about the shows you’ll find on www.JasonHartman.com is that if you want to learn how to finance your next real estate deal, there’s a show for that. If you want to learn more about food storage and the best way to keep those onions from smelling up everything else, there’s a show for that. If you honestly want to know more about business ethics, there’s a show for that. And if you just want to get away from it all and need to know something about world travel, there’s even a show for that. Yup, there’s a show for just about anything. It’s my pleasure to welcome Dr. Lee Hieb to the show, she is Iowa’s Libertarian Candidate for Governor, and she’s a practicing orthopedic surgeon. She has become kind of the go-to person on the subject of Ebola. We’ve got to think: is this hype or is it a real threat that we all need to be very concerned about? Lee, welcome, how are you? Very good, thank you for having me. Good, good. It’s good to have you. We tried our interview before on Skype and the connection just wasn’t working so well, so we are on a cell phone, and we’ll do the best we can with sound quality here. Ebola – real threat or a lot of hype? It is a real threat. Right now, I think we’re all holding our collected breath to see how many people pop up with this. It’s a disease for which we have no vaccination and no treatment, except supportive care. We can take care of the onesies and twosies, but if it starts spreading like wildfire, we’ve got problems. We have a lot of really start people in the CDC and they really do know how to take care of this. The problem is that the people who are in charge of the CDC and that many government agencies are political. They’re choosing to be politically correct and not really choosing the right medical answer. I just tweeted out the link on my Twitter feed about the CDC’s article on quarantine. The problem is that when you have no treatment for a disease, the only way you can get something this bad under control is to stop the transmission, and that means stopping the movement of people. It’s just got to be done. It’s absurd to say that you’re in self-isolation, like this doctor in New York, and that self-isolation consists of going in a subway and then going bowling. You have to ask yourself what’s not self-isolation – vomiting in Macy’s? It’s just absurd. I’m a Libertarian and I believe strongly in Libertarian principles and the Constitution, but you don’t have the right to threaten somebody with a baseball bat. Even if you don’t hit them with it, you can’t just keep swinging at them, and essentially, when you’ve been exposed to something like Ebola – and let me tell you, the bio-terrorist threat that is most fearsome is smallpox, so if we can’t handle this, this should be a knock on the door. We have to have a system in place for dealing with these things because they’re out there and there are bad guys that want to get hold of them. In this case, they can get hold of it. Now, for most Americans, let me tell you.. I’ll tell you what I’ve told my boys about smallpox and to a lesser degree, it’s also true about this. If this really starts cropping up in multiple cities, I, personally, would stop flying for a while. The way you protect yourself is simply not going to the area of outbreak, and not being in transit in places where there has been exposure. Flying is the same as cruise ships. I mean, a cruise ship would be dangerous as well, right? Yeah. If there was really an outbreak that’s not under control, I personally wouldn’t go on mass transit. That’s exactly right, and that’s the first thing I would avoid. The solution for Liberia – and this is the sad part because this could be solved in Liberia – is they need to shut their borders. They don’t need to shut them to people coming in and giving them help from the outside, but to them flying out. That’s just common sense. The second thing is that they need to stop transportation between cities and towns, and in those towns that are considered hot zones where the Ebola is raging, you need to stop transportation between households. The real role of the international community, in my opinion – and this is the plan we’ve used over centuries – is that we bring medical care and food to your house and you don’t move. We could supply food and hazmat suits across the international community and have people taken care of in their homes. Don’t have people running out, foraging for food – that is what’s going to cause this thing to keep continuing. This could burn out in two months, and that’s how it used to be when it was just in a jungle. It would just burn out in a couple of months or less. And it would burn out because the people who have it – would they die? And the sad truth is: we can’t make Liberia a first-world medical facility in the time it would take to solve this problem. To some extent, we can’t even save our own people. I think we’re up to 24 Doctors Without Borders, and I think 16 are dead. The problem is that those who are going to die are going to die, and those who are going to live will live, and that’ll be done. It’s not kinder to fail to quarantine people and let this kill thousands. Oh, I couldn’t agree more. Of course. We need to stop it now. Okay, so let’s talk about the treatment side of it. There is no treatment and no cure, but we’ve had a couple of recoveries, haven’t we? I shouldn’t say there’s no treatment. They have got one treatment now that seems to be helpful – they’ve taken blood transfusions from people who have survived Ebola and presumably have antibodies against it. That makes a lot of sense, but the question is about how much of that blood is actually available. Again, it helps if you have one or two victims, but not if you have thousands. I suspect that our survival in America is going to be much better than in Liberia, based on sanitation, health and general nutrition. Our immune function is just better. George Washington survived smallpox because he was just a tough dude and he had a great immune system. The healthier you are, the better chance you have of surviving it, and people have certain quirks to their immune system that make them more or less susceptible. Right now, it looks like this particular outbreak is about 50-55% fail. What can one do to strengthen their immune system? Actually, I’m also Fellowship-trained in anti-aging medicine, and that’s kind of my new career path, my big hobby and my semi-retirement. I have a book coming out which is called Surviving the Medical Meltdown, which is what to do when you don’t have a doctor available. I’m afraid that the medical system is on the bridge of collapse, but the whole center of that book is exactly what you said; it’s how to be as healthy as you possibly can. I’ll tell you, if I had to pick one thing to tell people, it seems that one of the miracle hormones we have is Vitamin D. It’s not really a vitamin, it’s really a hormone. Yeah. It turns out that almost everybody’s D is low. Unless you happen to be a native Aborigine that lives on the equator and wears a loincloth, your D levels are low. In other words, it’s because that person, that Aborigine spends a lot of time in the sun, right? But the problem is the sun has bad side effects too, like skin cancer, so getting the D from not just sun is a good idea. Right. And honestly, we just don’t live a lifestyle that that would work for. It’s not just about the hours in the sun, it’s also things like if you take baths it takes the oils out of your skin. There’s lot of different things. A friend of mine who played 18 holes of golf, 6 days a week in Arizona, where you are, I guess – his D was 20, which is really, really low. He wouldn’t believe me when I kept telling him to take vitamin D and he said ‘No, no, I play golf’, but it didn’t work. I take 10,000 units a day. It’s been shown that there’s never been an overdose on 10,000 units a day of Vitamin D3. In a Japanese study they did about influenza, they showed that having elevated vitamin D levels was more protective than the influenza vaccine. Influenza is also a virus, and it just seems to be that people with higher D levels have fewer diseases, including cancer. It turns out that if you get your vitamin D level over 55, your risk of breast cancer goes down by 83%. We never hear that from the government agencies, but the truth is there’s a lot you can do to make yourself healthy. Vitamin D3 actually heals the ends of your DNA so you have less replicated mistakes. I get all my patients on that. I have another show that I’m just launching called the Longevity Show, and I had my telomeres tested because I’m interested in doing research for the show. Fortunately, according to my telomeres, I’m a little younger than I really am, which is good news. I started taking TA65, which is one of the other things they say you can do. I’m not exactly sure about that yet, but it is fascinating. Yeah, that’s very interesting and I’ve thought about doing that but I’m not convinced about the drug. If I were convinced about the drug, I’d test my telomeres, but I’ll wait to hear from you about it! Yeah, I’m not convinced either but the jury’s out so I’ll let you know in a year. Definitely take D3. There are other things too, like good nutrition, obviously. I’m a big believer in eliminating gluten from the diet. I think about when we’ll look back at medicine in 30 years, and I have a whole chapter in the book about why doctors outdate. This is why I’m a Libertarian – I’ve seen what government does to everything. Everything it touches, it poisons in some way. We’re practicing 30 year old medicine. If you’re doing a Longevity Show, you know this, but the standard medicine your doctor gives you is out of date. One of the main reasons for this is the government and the State Medical Boards of basically all states say that their Standard of Care is that if you’re not doing what 90% of your colleagues are doing, you’re out of date and we consider you wrong. In the old days, we considered them to be leaders in the field and now we don’t. People tend to go back and use these old methods just to get out of trouble, but it’s not ideal. I think we’re going to look back and say gluten was bad. It turns out that there’s no question that gluten is the cause of auto-immune disease like rheumatoid arthritis. There was a big scientific American article on that a few years ago and books have even been written about it. In my own experience, getting off gluten has changed lots of things in my health. You can see it happening in people when they get off gluten – lots of things get better. It’s a constant foreign protein that attacks your immune system, but it attacks people in different ways. If you want to be as healthy as you possibly can so you don’t die from these bad viruses that are going around, that’s one of the things to do, I think. Okay, so take D3, get off gluten, anything else to become strong? Like you said, George Washington was just a tough dude and I think everyone wants to be tough when anything goes around, not just Ebola. Right, like I said, I think gluten is a huge one. In general, get off the high-carb diets. We were meant to be meat and fat eaters. I’m not really a paleo diet person. I think, in general, you need good sleep. There’s a great book by T. S. Wiley called Lights Out, and it’s about the problems of us extending our daylight hours through electric lights, and we really screw up our hormone production and do a lot of bad things by not living by the sun’s cycle. Some of the healthiest people I know are the old farmer friends I have here in Iowa who live by the sun cycle. When it gets dark they go to bed, when it gets light they get up and go to work. Being in harmony with nature is a great idea, and I try to do that myself. I still can’t seem to sleep long enough, but I usually wake up a little bit before the sun and I dim my lights in my home so that I naturally become tired in the evenings. That’s the way to go. The pillars of anti-aging are basically good nutrition, good sleep, exercise – I love weight-lifting, I think it’s probably the most beneficial exercise you can do for yourself. We were meant to pick heavy things up and put them down. Also, take the right supplements. I’m 62 so I look for bio-identical hormone replacement. I do all those things and I feel pretty good. I’m doing what I can. The other thing is that, like I say, if it gets to the point where this is really popping up all over the place, it’s time to cancel that cruise, in my opinion. What else should we know about Ebola? Be strong, have a strong immune system. What more can you say on the government’s response; what is the government doing/not doing? Any criticisms of government? Well, it’s just insane for the President, for example, to say you can’t get it on a bus and then turn around and say ‘Don’t get on a bus because you might give it to somebody’. I think a 10 year old can figure out the logical fallacy there. This is not truly airborne – it doesn’t go through vents. Smallpox, in the last known case in Europe, went out the window of a German hospital into another wing and killed some student nurses. That’s airborne. This doesn’t do that. What this does do is it really comes out, apparently, in all of your body fluids, including sweat. Dr Arnold, who’s one of the smart guys from the CDC, knows who a doctor who touched a patient and was killed by the virus. When they first came out and said ‘This is blood-borne’, they were making it like HIV. They were so worried about people being stigmatized and about the political correctness aspect that they weren’t being scientifically correct. It’s not like HIV. Yes, it’s in the blood, but HIV doesn’t come out in your sweat, nor does it come out in your tears. Nobody gets it from that kind of casual contact. With this, you do. That’s the point. The other thing we don’t know about it is how long it lives on fomites, meaning the intermediaries and inanimate objects. When Eric Duncan was in the Emergency Room checking in, did he chew on the tip of the pen? He had his hands all over the desk – how long does the Ebola live on those surfaces? There was one study I just read off the Financial Institute of Health’s website that said it can last up to 50 days. That could be a real problem! I don’t think we’re out of the woods yet, here, but I think it’s looking better because we don’t have any mass outbreaks yet. That’s assuming our government is actually telling us about who is really coming down with this. I hate to be skeptical, but these guys have not been real forthcoming. They’ve kind of dissembled, rather than be straight up about it, so I have to say I want to know what happens to his fiance. I want a negative as well as a positive. As a physician, when I wait to hear the news, that’s kind of the thing I wait to hear – he got home from touching Ebola patients and getting exposed to Ebola, he comes down with it and he has a fiance. Presumably, they at least kissed. What happened to her? I want to know. How come we don’t know that? That’s amazing, how can we not know? The silence is deafening, and that worries me a little bit. The media’s not a lapdog, or not completely, but why wouldn’t the media have figured that out by now? Some ambitious reporter would be anxious to break that story, right? Well, one would think so. I’ve had my own experiences with the media as a Libertarian candidate for governor in Iowa and you say they’re not the lapdogs, but they make a lot of money from Government. They don’t go against the Government. In our state, it almost feels like there was an edict that went out this cycle, saying ‘Don’t even mention that nasty little word ‘Libertarian” because they keep popping up, talking about the Constitution and things we don’t want to talk about. When I talked to Steve Forbes and one of his daughters, they just told me about the second time when he ran, it was a media blackout. They just would not cover Steve Forbes. It’s just absurd. They have the power to tell people not to say things. Unfortunately, there’s another side of it. I don’t mean to damn all science writers – there are some very good science writers out there – but let’s face it, most of the reporters that are covering this are just parroting what they’re being told by somebody. They don’t really have the scientific background to think about that. To me, it’s an obvious question. We’ve heard a little bit about Duncan’s family, but we haven’t heard very much lately. I just want to know the negatives as well as the positives, so I know what to think. If you look at what’s happened at Bellevue Hospital, and this is where I’ve sent my Governor in Iowa – who’s been in power for a huge amount of time and who’s a Republican, by the way. He said ‘We’re not going to quarantine Ebola patients’, and I said ‘I know this is not the hugest issue for us in Iowa, but really, what does that say?’ It says that he’s willing to say to you ‘Okay, you just got back from Liberia, you were treating Ebola patients and now you can go work in a daycare gym, you can teach 5th grade, you can drive a public bus or be a check-out clerk at the grocery store’. Really, is that what he’s saying? That is the alternative, there’s not much in between. What I’ve said when people have asked me about this in Iowa is ‘Look at the cost of this just to New York City. Besides the subway cleansing and the bowling alley shutting down, look at Bellevue Hospital.’ Bellevue Hospital is about twice the size of the University of Iowa, it’s a huge hospital. It had to ship all its ICU patients to another hospital, except for the two patients they’re treating, because it is so staff-intensive to treat those two patients safely, and because they don’t want to cross-contaminate anybody else. There is a huge cost to being stupid about this. Yeah, that’s for sure. Okay, so a huge cost to being stupid, I think everything you said about the government is certainly fair. Ebola’s been around for a while, though – it seems like this is a new or a different strain, is that what you were going to say? Well, it’s a different strain, but that’s not the problem. The problem is transportation. It used to be that this would break out in little, isolated villages in sub-Saharan Africa, and the villagers didn’t go anywhere, they just all died in place eventually. Maybe a few would live, but they didn’t go anywhere. For decades, we’ve looked for the intermediary host somewhere in the jungle, and I don’t think they know yet. They’ve looked at everything, even droppings from bats in caves. They tried to isolate it from some animal vector where it stays alive in between human outbreaks, and I don’t think we know what that is yet. The point is that we’ve paved the highways now into the deeper jungle areas and so now when somebody gets sick, there’s more of a chance that they’ll transmit out. What happened in this case was a doctor actually went to one of these jungle villages, got contaminated, got infected and then drove 82 miles out of that village to his local village where he got sick and died. He’d already transmitted it to other people, who went to the coast. Once it got into the coastal cities in Liberia, that’s when it got out of control, and it happened before anybody really knew what was going on. It’s a pretty dramatic disease and most of us have never seen a case. Those who have seen it say it’s a pretty dramatic disease – you bleed out from your orifices so it is dramatic. Once they’d figured out what was going on, the problem was then trying to calm the fear and contain it. If they’d done it right initially, it wouldn’t have been this damaging, but they didn’t contain it. Right, that’s terrible, it really is. Anything more you want to mention about Ebola? Perhaps the military? What would happen next – say it did get really bad? The other thing we’ve got to be afraid of is an excuse to use martial law. Some say this is an excuse to get our troops into these African countries, but for other reasons. What do you think about our military being over there and then bringing it back? I really think that’s a mistake. I don’t think this is the role of our military. The World Health Organization is part of the UN – if once in a lifetime the answer was the UN, this is it! Oh, the UN is a bad idea for so many reasons. I know, that was some sarcasm. I’m just saying that they always want to involve the UN for all sorts of other things. I keep saying this, but if the Obama administration were competent, then once in a while they would act in the security interests of America, but they never seem to. We’ve got our troops over in Afghanistan getting chewed up for no good strategic purpose. Now we’ve let our borders become porous to the point that we’re now getting other diseases like chagas disease and multiple drug-resistant TB, which is a horrible disease that we’d pretty much eradicated from America but which is now coming back. Thank you to this administration for leaving the borders open to these South American disease victims. Now, we’re going to send away out National Guard. To me, that’s the perfect trifecta of degrading your security. I’m sorry, I just don’t get that. I just worry about our troops. Finally, they’ve said what they’re going to be doing over there – they sent them without really telling us what they’re going to be doing. OKay, they’re going to be building shelters and stations for talking care of the diseased, so that’s fine and good. But they are still in an endemic country. Our experience in the past with the military in disease-prone areas is that they get the disease to some degree. Whether we’re talking HIV or malaria, we’ve not been able to contain it and keep it out of our troops. I was in the Navy, but in the past when we did extractions (it was generally the Navy Marine Corps team and the Seals that would do that), it would be an amphib ship off the coast of Liberia that would be the back-up. It looks like what they’re planning on doing now is if somebody gets sick – I noticed that now the military is building isolation modules that they shipped the doctor back from Africa. It’s a one-person shipment. It costs something like $100,000 to get him back, and it was for one person. If you really have a lot of people that you need to ship back, that wouldn’t be the way to do it, so I guess the company that built those modules is now building troop-sized modules that can fit into a troop transportation vehicle with 11 or 12 at a time. If we’re going to do this, you have to have support for the troops. If this really did become a big problem in America, I think we could afford to have a center that does nothing but treat Ebola patients. Again, you can’t shut down every major hospital in America to treat two patients, and that’s what we’ve seen at Bellevue. There are only 4 hospitals in America that actually have isolation units that can treat these things like they would do at a high-level facility. I think that’s what we would have to do. Yeah, it makes sense. The only problem is that we would have to move the Ebola patients. This is just a huge problem, no question about it. Yeah, that we can do. With these isolation units, that we can do. I’m not worried about that. I’m near Omaha and they actually pulled a patient into UNMC because they’re one of the four hospitals – the University of Nebraska Medical Center. This is the other piece of disinformation that the government put out – they said ‘Everything’s fine, we have protocols’, as if protocol is giving a hospital that’s never dealt with this disease a piece of paper which gives them the steps to take. That’s not going to answer the situation. You need equipment, training and leadership – all of which we’re lacking. Of course, in all fairness, it’s like the fact that the first shots in a war never go well because you’re not expecting it. When they’re talking about having precautions, they were talking about hospital gowns. They’re talking about paper gowns, latex gloves and non-occlusive masks. That’s what we used to help prevent Staph in a hospital. That is not adequate for Ebola, it never was, and that’s what they sent the nurses in with. The problem there is that it’s hard to take them off without contaminating yourself. In the real level containment facilities, they had bio-containment suits that are washed down and decontaminated before you take off the suit. Now I guess they’re getting more of those out there, but that’s what they need to do. I hear the CDC’s starting to say the right things like ‘We’re not expecting you guys to know how to do it, we’ll send a team to you if you have a case’. Good idea, guys, that’s what you should have done in the first place. Right, exactly. Too little, too late! It’s a common problem. Talk a little bit about your candidacy if you would, for just a moment. You are a doctor; of course, Ron Paul is a doctor, he’s a politician I’ve followed for many years. What are your thoughts about your own candidacy? Tell us what you’re working on and then any mentions on ObamaCare, because we’re talking politics and doctors, so that’s a good mix. To coin the Ronald Reagan phrase when he left the Democrats. Yeah, I didn’t know I’d stolen that from him. I live in a state where we have a Republican Governor who’s been our Governor for the most part of the last 25 years, yet we have the highest corporate tax rate in the nation, which possibly makes us the highest corporate tax rate in the world. Isn’t that sad? We have one of the top personal tax rates. In the last budget cycle, we just got the biggest budget increase in the history of the state. We have 20% more government workers per capita in the state of Iowa than they do in California. This is bad. We are regulated from the time we get up in the morning til the time we go to bed at night, and it’s by unelected immoral boards. It’s not even elected officials. It’s like Professor Hamburger at Columbia Law School says about Constitutional authority; it’s just taking authority into the governors’ hands and setting up these administrative offices that do exactly what the Constitution prohibited – there’s only supposed to be three ways you make law, and it should start from a legislative body. You shouldn’t be able to just set something up. ObamaCare is the perfect example, as is Medicare. It’s not what the legislators wrote. I was on John Stossel years ago when ObamaCare was first published, and he brought out this big clump of papers and put it on the desk like ‘This is good sleep medicine for your kids, reading this bill’. It was 2800 pages and I said to him ‘That’s not really important. That could be an untranslated Greek ode called ObamaCare. What you really need to know is the one line that says ‘We authorize health and human services to write administrative code to carry the force of law’. That’s what we have at all levels of government, but our state has really gone for it. Sure, in Iowa raw milk is illegal. I tell people that if raw milk is illegal, how do you think you’re going to be allowed to choose your healthcare? How are you going to be able to carry a weapon? Let’s take back our state for liberty. That’s where I am in this race, and honestly, I think we’ve done a lot. When I started in this race, people thought Libertarians wore tinfoil hats and were all about marijuana legalization, so we’ve moved the football forward and shown that we’re about constitutional liberty. No matter what your issue is, free people do it better. We just have to get back our individual liberty. We were talking about the media earlier. We’ve been having a lot of fun with Iowa public TV, but this year, they completely excluded all third parties and independents from the debate. What I’ve learnt in this process is that we have two big parties, and they may look and act in public like they’re different..
Oh, they’re the same thing, practically. Not just practically. Get this one: you can’t make this stuff up. In the state of Iowa right now, Jack Hatch, the Democrat challenger, is the business partner of the Republican governor’s biggest contributor. Oh my God! Yeah, you can’t make this stuff up, that’s insane. At first, we wondered why there’s no evidence of campaign workers for Jack Hatch, but it turns out that he’s never been running against the government, he’s been running with them! It’s been a fix. It’s like WWF, the wrestling. That’s exactly the analogy I always use. It’s like a wrestling match; it’s all just fake. It’s a fake opposition. I didn’t realize how fake it was and how criminal this whole enterprise was until I got really into the race, and I’ve been watching it. Because he owns the opposition – except for me! – and because he owns the media, they control the electoral process, the political machine. I don’t care if you’re Sister Teresa, if you’ve been in power for 20 years, you’ve taken over the electoral process. That is against individual liberty and to us maintaining liberty for our children. We need to stop this and for no other reason, you need to vote differently. That’s it. You can’t keep going down that road. Anyway, Iowa public TV refuse to have us in the debates and they have all these apparently objective criteria to exclude us. One of them is that you have to be a member of a real party. Guess what? In the Iowa legislature, the two big parties conveniently voted not to let the Libertarians be a real party, even though we’re the third biggest party in America. How convenient – a real party? Can you believe how disgusting that is? A real party? Who is it for them to decide what a ‘real party’ is? How about if the people decide that? This is unbelievable. The two-party system is a complete scam. It’s just window-dressing, unbelievable. It’s funny to me, and I say this as a recovering Republican, that I always thought we were the party of principle. We complained about the Democrats using the principle that ‘It’s never the issue, it’s always about consolidation of power’, but now that I’m outside I see that the Republicans are doing exactly the same thing. I’m not denigrating the grass-root guy, I’m talking about from the level of governor up. For the people that are running for national offices, the big national parties and the big state parties, it’s about staying in power. It’s not about doing the best for the state or the nation, that I can see. We’re seeing commercials that say ‘I gave you the biggest tax cut in the history of the State.’ No, Governor, you gave a few of your crony, capitalist buddies the biggest tax cut. They didn’t give tax cuts to everybody, they gave tax cuts to a few of their friends and at the expense of all of us. I suspect that in your state and in every state, that’s going on to some degree. I tell people that with this election cycle particularly, it’s more important to be attached to your liberty and less attached to your political party. Let’s take down the two-party system. 60% of people want a third party on the ballot. People pride themselves on saying ‘We vote for the candidate, not for the party’, so let’s really start doing that. That’s been the message we’ve been trying to get out and I think it’s been good. Along the way, we’re making fun of Iowa Public TV because we have a little Big Bird video where Big Bird is invited to join the Good Birds Club, and he thinks he should be able to go – he’s a good bird, he eats his vegetables and does things for his mommy, but when he gets there, his feet are too big. Objective criteria. It’s just something that’s kind of fun. A very good point. Lee, give out your website and tell people where they can learn more about your campaign. Yeah, I’m at www.Hieb2014.org. Join us on Facebook and Twitter where most of the action is, but all the issue papers and all the stuff is on the website. We appreciate anybody’s support who wants to help. If we want to save America, we’ve got to save one state at a time and we’re trying to make that Iowa right now. Excellent. Fantastic, well Lee, thank you so much for joining us today. Thanks for inviting me, this has been fun. Thank you for joining us today for the Holistic Survival Show, protecting the people, places and profits you care about in uncertain times. Be sure to listen to our Creating Wealth Show, which focuses on exploiting the financial and wealth creation opportunities in today’s economy. Learn more at www.JasonHartman.com or search ‘Jason Hartman’ on iTunes. This show is produced by the Hartman Media Company, offering very general guidelines and information. Opinions of guests are their own, and none of the content should be considered individual advice. If you require personalized advice, please consult an appropriate professional. Information deemed reliable, but not guaranteed.